Balancing biodiversity conservation with food security and the preservation of a broader set of ecosystem services is among the greatest challenges of the century. The creation of the International Panel for Biodiversity and Ecosystem Services (IPBES), at the interface between decision support and scientific knowledge, is clearly in line with this ecological-economic perspective. IPBES particularly puts forward the development of model-based scenarios making sense economically and ecologically and promoting sustainability. 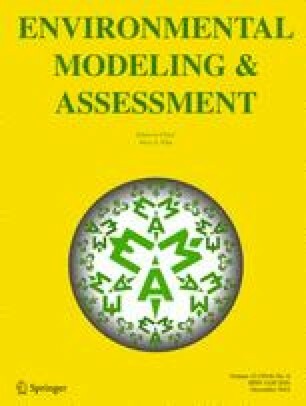 The present paper provides generic modeling methods and tools to address such challenges. The paper argues that the framework of controlled dynamic systems under uncertainty together with ecoviability metrics are especially well suited. Such a modeling framework indeed makes it possible to simultaneously account for complex dynamics, indirect or indirect drivers, uncertainties along with multiple sustainability objectives. These general ideas are exemplified with scenarios relating to two applied fields: (i) fisheries and marine biodiversity and (ii) land-use and avifauna. The role of the research projects VOGUE, ECOPE (PIG CNRS), NAVIRE (Cluster of Excellence COTE, ANR-10-LABX-45), OYAMAR (FEDER), and ACROSS (ANR-14-CE03-0001) was also decisive. We are very grateful to Nicolas Sanz for his help in the editing of this paper. This work has been carried out with the financial support of the Belmont Forum through the network SEAVIEW (ANR-14-JPF1-0003). Doyen L., Béné, C., Bertignac, M., Blanchard, F., Cissé, A.-A., Dichmont, C., Gourguet, S., Guyader, O., Hardy, P.-Y., Jennings, S., Little, R., Macher, C., Mills, D., Noussair, A., Pereau, J-C., Pascoe, S., Sanz, N., Schwarz, A.-M., Smith, T., Thébaud, O. (2017). Ecoviability for ecosystem based fisheries management, fish and fisheries. Online https://onlinelibrary.wiley.com/doi/abs/10.1111/faf.12224. Helm, D., & Hepburn, C. (2013). Nature in the balance: the economics of biodiversity. Oxford Scholarship Online, https://doi.org/10.1093/acprof:oso/9780199676880.001.0001.